Are you interested in the Paranormal? 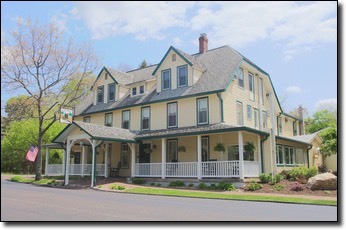 Curious to see what might be haunting the Eagles Mere Inn in Eaglesmere, PA? Mark your calendar for April 26 and 27! The weekend will include a Paranormal 101 class, tarot readings from Psychic Laurie (extra fee), a possible trip to investigate the site of an abandoned religious commune (weather permitting), dinner and the investigation of Eagles Mere Inn and surrounding areas. Guests may choose to stay with in a room package, attend the dinner and event, or even just the event. Call the Inn at 1-570-525-3273 for more details or to make a reservation. More details on rooms, prices and more to come! Join Tri-County Paranormal as we lead an investigation of the Paoli Battlefield in Malvern, PA on May 18 from 7pm until 11pm. This investigation benefits the Paoli Battlefield Preservation Society. For more information and tickets visit Remember Paoli. Visit us at the Fort Mifflin Paracon on June 1, where Laurie will be selling her books and offering psychic readings! Visit us at the Pennhurst Paracon on July 20 and 21, where Laurie will be selling her books and offering psychic readings! 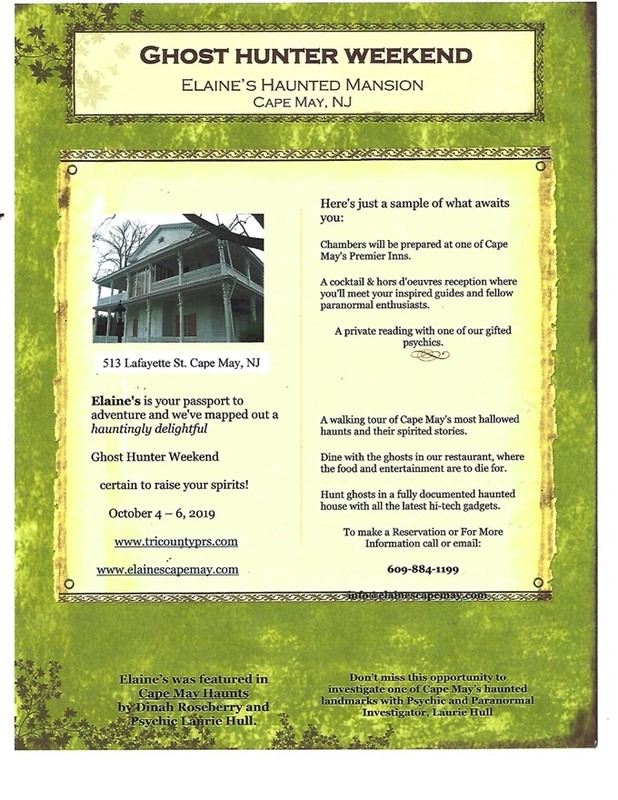 Laurie and Dustin are once again hosting this exciting weekend at Elaine Bed and Breakfast in Cape May, NJ! To make a Reservation or For More Information Call 609-884-1199 for booking.